"Telomeres represent the clock of a cell," said TSRI Associate Professor Eros Lazzerini Denchi, corresponding author of the new study, published online today in the journal Science. "You are born with telomeres of a certain length, and every time a cell divides, it loses a little bit of the telomere. Once the telomere is too short, the cell cannot divide anymore." Naturally, researchers are curious whether lengthening telomeres could slow aging, and many scientists have looked into using a specialized enzyme called telomerase to "fine-tune" the biological clock. One drawback they've discovered is that unnaturally long telomeres are a risk factor in developing cancer. "This cellular clock needs to be finely tuned to allow sufficient cell divisions to develop differentiated tissues and maintain renewable tissues in our body and, at the same time, to limit the proliferation of cancerous cells," said Lazzerini Denchi. "This protein sets the upper limit of telomere length," explained Lazzerini Denchi. "This allows cells to proliferate—but not too much." 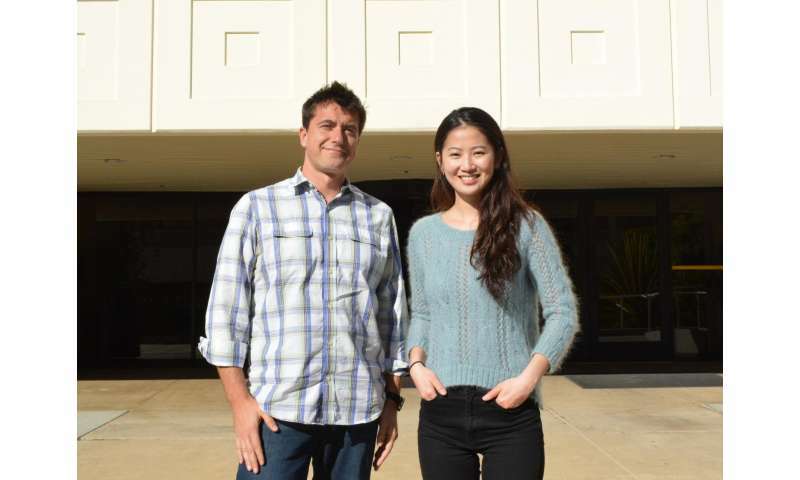 "There is a protein complex that was found to localize specifically at chromosome ends, but since its discovery, no protein has been shown to specifically localize to telomeres," said study first author Julia Su Zhou Li, a graduate student in the Lazzerini Denchi lab. "This study opens up a lot of new and exciting questions," said Lazzerini Denchi. My question is, did the aging process itself evolve? In other words might it be either faster or slower if we'd had a different natural selection history? That's one roundabout way to ask whether it's possible to stop in the individual as well.